The lesbian, gay, bisexual, transgender, questioning, queer, intersex, asexual and ally (LGBTQIA) Alumni Network is an official branch of the Office of Alumni Engagement. This affinity group unites and represents the interests of Elon University’s LGBTQIA alumni, undergraduate and graduate students, faculty, staff and families. 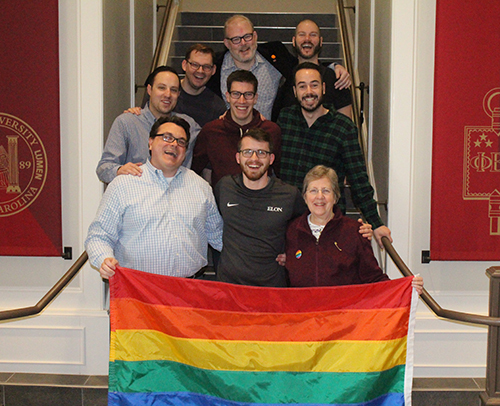 We strive to improve the campus climate for future members of the Elon community by advocating on behalf of LGBTQIA issues, partnering with others, and promoting the university’s commitment to an inclusive and respectful community.